During winter, we all need hearty foods to brighten up those dusky days and keep us warm and that is exactly what this recipe is all about. Try this version of clear chicken soup, easy to make and full of nutrients to carry you through the cold winter days. We promise you will love it! • Marinate the chicken in salt and black pepper for about an hour and cook it in a frying pan until it becomes light brown. • Add sliced mushrooms to the chicken and fry for 2 minutes. • In a separate pot, add chicken stock and boil. 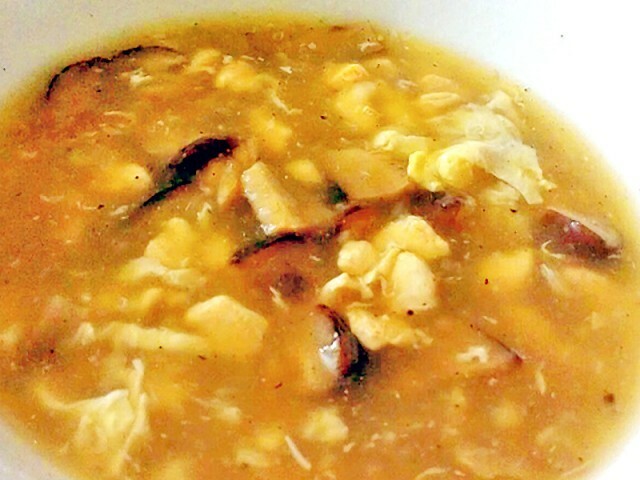 • Once the chicken stock is boiled completely, add the cooked mushrooms and chicken cubes to it. • In a small cup, mix the corn flour, salt and pepper in water and pour the mixture into the chicken stock, stirring continuously to avoid lumps. • Once the soup has thickened, beat an egg and add it to the mixture and allow it to simmer for a few minutes before taking it off the flame. • Add soy sauce and vinegar to the soup as desired and mix. Your soup is now ready. • Serve hot with a side of bread and butter.